This month we have the cutest little free wedding download for you. These favor or bomboniere boxes are just perfect for giving guests a sweet treat. 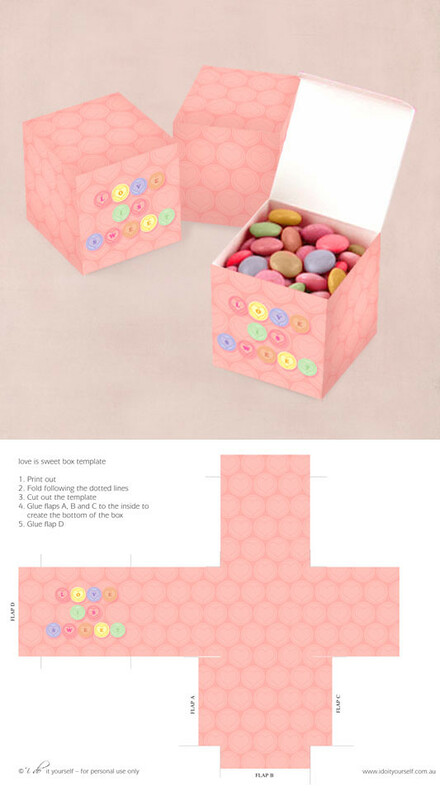 The free template folds into a 5cm (2 inch) square box with the words 'Love is sweet' written on the front. Just download the file from our website here, print, fold, cut and glue. It's easy.